Erivum Puliyum: Mulayari Payasam | Bamboo Rice Kheer ~ Onam Wishes !! Mulayari Payasam | Bamboo Rice Kheer ~ Onam Wishes !! Bamboo rice though tastes like wheat but is richer in protein. This rice is a rich source of vitamin B. It cures kapha and pitta dosha by helping remove many toxic substances from the body. They are very beneficial for removing joint pains and easing rheumatic pain, controlling blood sugar and cholesterol.However, enjoying this delicious payasam may not give you the desired health benefits as it is made with coconut milk ,ghee and jaggery. But for a change you can definitely have this payasam. It was my long awaited wish to try bamboo rice and was longing to find the source. Recently when I walked through the organic aisle in the super market, myeyes caught over a small cylindrical container saying 'bamboo rice'. Immediately I grabbed and put it in my cart. There was a small pamplet along with the pack and that mentioned the bamboo payasam recipe. I got a fair idea about it and went about trying to make the payasam. 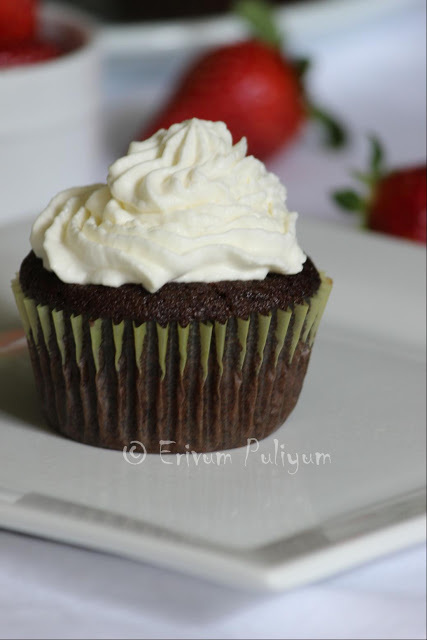 I made a few changes to their recipe and made this out.There is another recipe lined up with mulayari which I will be posting soon which is perfect to give you all the desired health benefits. Mulayari Payasam tastes almost similar to nurukku gothambu payasam but the health benefits may be much more. This payasam is really delicious and thick. Hope everyone is busy with Onam preparations at home. Wishing everyone a very happy and prosperous Onam !!! Pick up any stones or pieces of bamboo or other impurities from bamboo rice(mulayari). Wash and soak the rice over night or around 10 hours. Wash, soak the green gram and basmati rice separately in water for 2 hours. Strain the water from bamaboo rice and pulse the mulayari to crush it in a blender so as to get a broken wheat or podi ari form. 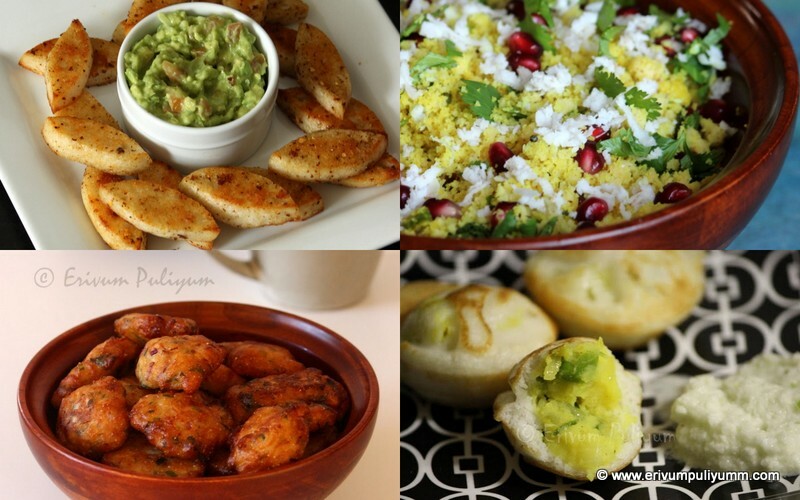 Similarly crush or pulse the green gram and basmati rice separately and keep aside. Now,extract the coconut milk and keep in separate bowls.If you are using canned coconut milk then skip this step. Melt the jaggery in half cup water and strain impurities.Keep aside. In a pressure cooker,add the crushed mulayari,crushed green gram and add a cup of water.To this add another 1.5 cups of third coconut milk. Mix well and close the lid. Cook on medium high flame for 6-7 whistles. Turn off heat and leave for the pressure to release. 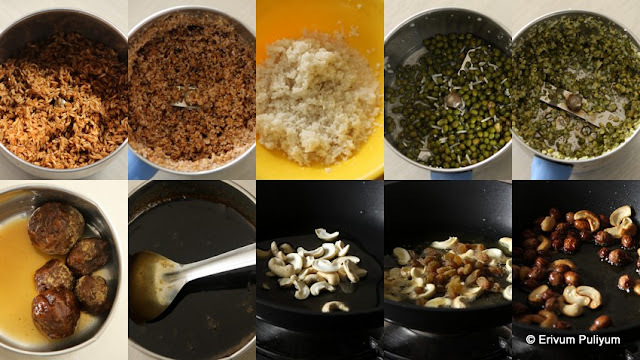 In the mean time,heat ghee in a pan and fry the cashews followed by raisins. Drain on a plate and reserve the ghee. Once the pressure is released, open the cooker. You will find the bamboo rice and green gram is well cooked. Heat the reserved ghee in a thick bottomed pan. Add the cooked bamboo rice mixture. Saute well with the ghee. Now add the remaining third coconut milk and let it cook well for another 15-20 mins. Keep stirring in between to prevent sticking to the bottom of the pan. Now, add the crushed basmati rice and keep cooking. When the basmati rice is half done, then add in the jaggery. Let it continue to cook for another 20 mins till it thickens again( Don't forget to stir and keep flame on medium heat). The jaggery syrup should be sauteed well with the cooked mulayari. After the first 15 minutes,add the second coconut milk and continue to cook. 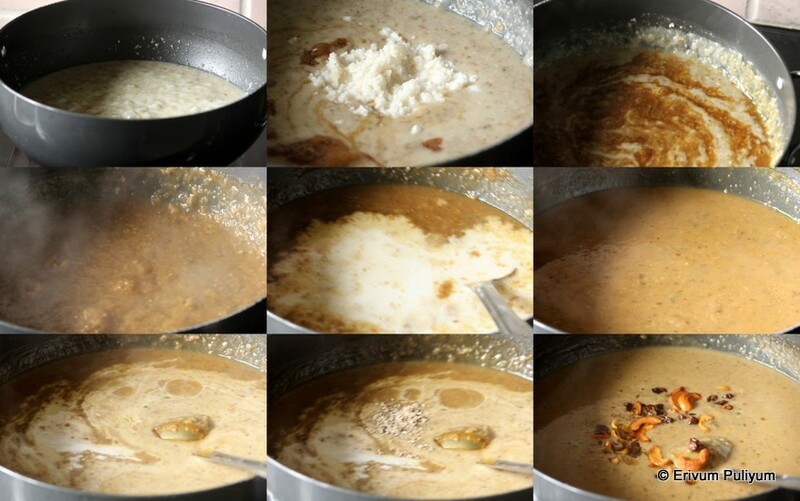 Simmer the heat and continue to cook,by the end of another 15-20 minutes the payasam would have thickened well. At this point, add the cardamom powder and add the first coconut milk. When you see one or two bubbles popping up, switch off flame. Add in the fried cashews and raisins. Mix well and keep covered. Serve warm or cold. Enjoy !! 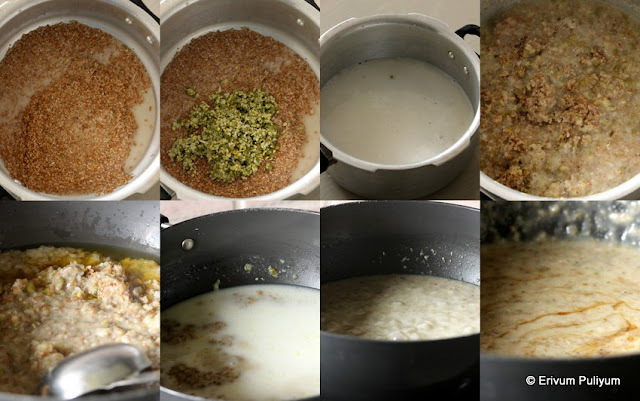 * Mulayari payasam taste similar to cracked wheat payasam(nurukku gothambu payasam). * You can cook the mulayari in a thick bottomed pan instead of cooker too but it takes very long to cook. Also,don't forget to soak overnight. 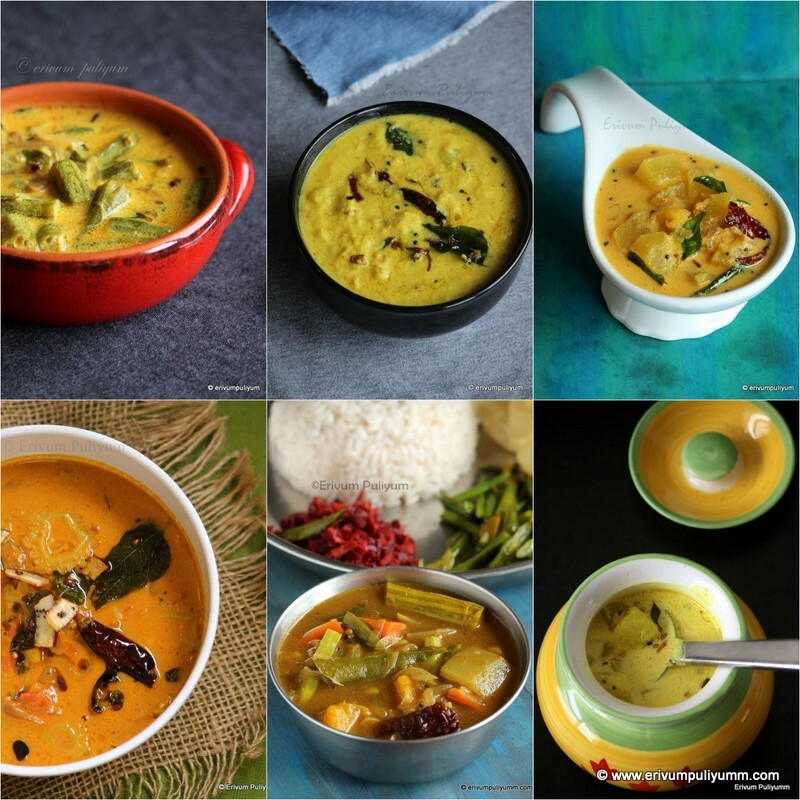 * You can make the payasam without adding green gram and basmati rice but this adds an extra flavor. * The payasam was just sweet so you may alter the jaggery if you are more on the sweet tooth as per tastes. * I extracted two coconuts milk to make the payasam. Check out this post on extracting the diffrerent coconut milk. Happy ONam....SUPERB PAYASAM....I also tried once with bamboo rice. Happy Onam..this looks absolutely delicious .. The payasam looks absolutely yum... I am yet to try bamboo rice myself.